February 2, noon-6 p.m. Visit Gig Harbor’s Waterfront District, peruse the art galleries and sample chocolates. Enter to win the grand prize, a weekend getaway in Gig Harbor. Pick up the entry form/map at any of the participating businesses. February 2, 6:30 p.m. Sample a multi-course Italian meal and taste a variety of grappas, limoncello and wine. Space is limited to 16 on a first come, first serve basis. $110 for a couple, or $60 per original. Register at the bar. February 9, 11 a.m.-3 p.m. Follow a map of 48 participating businesses and collect delectable chocolates and other goodies. Purchase tickets for $10 each (cash only) at Orting Bakery. Limited amount of tickets will be sold, so get them early. Proceeds go to the Orting Daffodil float. — February 2, 6 p.m. Authentic Korean cooking with Chef Toby Kim, of The Carnation Herb Farm Restaurant and Seattle’s Poppy. Learn to cook beef & Korean radish soup, spicy stir-fried pork, a seafood and green onion pancake and more. Enjoy the meal you prepared with a wine pairing. Register online. $75. — February 12, 6 p.m. Seasonal Suppers with Chef Jasmine Biernacki. Learn to cook curried lentil lentil and sweet potato soup, beef stew, Tuscan pasta and more. Enjoy the meal you prepared with a wine pairing. Register online. $65. — February 14, 6 p.m. Romantic Valentine’s Dining. Perfect for a date with your sweetie, learn to cook a variety of romantic dishes, including goat cheese crostini, flat iron steak, roasted shrimp and more, all while having fun. Enjoy the meal you prepared with a wine pairing. Register online. $95. — February 19, 6 p.m. Creative Curries. Learn to make coconut curry shrimp, tandoori salmon in coconut milk, beef curry and more. Enjoy the meal you prepared with a wine pairing. Register online. $95. — February 26, 6 p.m. It’s Sunny Somewhere, a mix of Thai, Caribbean and other global foods. Learn to cook Thai coconut soup, Jamaican jerk chicken banana crepes and more. Enjoy the meal you prepared with a wine pairing. Register online. $67. — February 2, 2 p.m.-4 p.m. The Cuisine of Piedmont. Cook with Chef McManus and learn about the cuisine of the Piedmont region of Italy. Enjoy your lunch with a glass of wine. $65. Call 253.383.7000 to register. — February 23, 2 p.m.-4 p.m. Primo thin crust pizza. Learn to make Chef McManus’s famous thin crust pizza, and enjoy your lunch with a glass of wine. $65. Call 253.383.7000 to register. February 15, 5:30 p.m.-7 p.m. Stroll through the Conservatory sipping on wine or champagne and indulge on handmade chocolates or chocolate covered strawberries from French Hen Bistro. Live music by Andy Carlson. Purchase tickets at the Conservatory and the Metro Parks main office. Be present at 6:30 for a drawing of a Hilltop Artist’s glass piece. $20 per person. W.W. Seymour Conservatory, 316 S. G St., in Wright Park. 253-591-5330. February 17, multiple start times. 4 p.m., 5 p.m., 6 p.m. Bring old friends or make new friends on this 6th Avenue progressive dinner through Six Olives, Gateway to India, Cork and Studio 6 Ballroom. Schedule/menu online. Vegetarian menu available. Early bird tickets $35, regular $50. Register online. February 21. Enjoy 5 Pike Brewing Company Beers and 4 food courses. $48, which includes tax and gratuity. Reservations required. Call 253.272.4177 to reserve. — February 4, 6 p.m.- 8:30 p.m. Cook with The Shelburne Inn’s Chef Beau Dylan Hogge. $65. Call 360-754-1448 to reserve your spot. 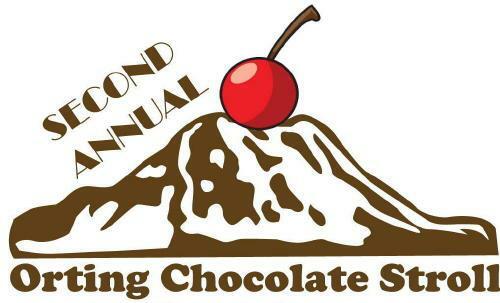 — February 5, 6 p.m – 8:30 p.m. Alaska Silk Pie Company. $50. Call 360-754-1448 to reserve your spot. — February 9, 6 p.m. – 8:30 p.m. Valentine’s Brewmaster’s Dinner with Fish Brewery. $65. Call 360-754-1448 to reserve your spot. — February 21, 6 p.m. – 8:30 p.m. Hands-on Tamales. $50. Call 360-754-1448 to reserve your spot. — February 22, 6 p.m. – 8:30 p.m. Olympia’s Next Top Chef. $45. Call 360-754-1448 to reserve your spot. — February 26, 6 p.m. – 8:30 p.m. Gnocchi from Scratch. $50. Call 360-754-1448 to reserve your spot. February 21, 6:30 p.m. Four wineries, all scoring over 90 points or better in wine magazines will be paired with a complimentary menu prepared by Chef Tom Pantley. $150 per person, tax and gratuity included. Call 253-864-8600 to reserve your spot. February 24, 6 p.m.- 10 p.m. Unlimited culinary creations from Chef Bill prepared with area high school and college culinary students. Photo booth, silent auction, DJ, dancing and a grand prize raffle. $80/person, including 2 drink tickets, benefiting the Chef Bill- Adriatic Grill Culinary Scholarship at Clover Park Technical College. Reservations required. Call 253-475-6000 to reserve.